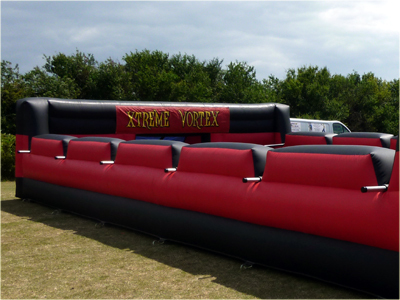 Xtreme Vortex can provide you with a variety of activities that are available for hire all year round for your Family Fun Day. Family Fun Day’s are about fun for all the family so we would be pleased to be involved in your Family Fun Day. Why not try our adrenaline fueled Mobile Climbing Wall, our Multi Sports Arena or maybe our fun packed Inflatable Laser Tag? All our activities are designed with fun in mind. If you are looking for something a little more relaxed we also provide Giant Garden Games which are classic family games suitable for all the family to join in and play. We also have our Under Pressure game which is fun for all the family and will keep you occupied for hours! Whether you are looking for a Football activity such as Bungee Football or Human Table Football or a Sporting Arena that can provide multiple sporting games in one unit we can provide the fun activities for you and your event. Your Family Fun Day could be inspired by almost anything, how about a Community Fun Day or a Reward Day for Staff? Maybe your inspiration has come from the many Sporting events that take place each year and you would like to celebrate sport? 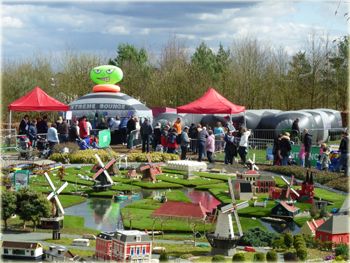 Whatever your reason for your Family Fun Day we can provide the exciting activities for your day. 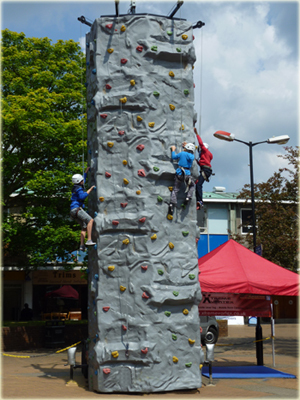 Activity Day have attended many Family Fun Day’s and Events and our activities are certainly popular! We can provide you with a single activity or a package of activities for your event. Please let us know what your requirements are and we will be happy to help you. Remember most of our activities are suitable for indoor and outdoor use so they can be used all year round, the fun never has to end! Xtreme Vortex own and run all our activities so you can be asured they are high quality and well maintained. We pride ourselves on providing you with quality products and an excelent service from your initial enquiry right through to the completion of your event and beyond. We always provide fully trained, smart, uniformed, enhanced CRB checked staff to run our activities. We also garauntee that at least one member of our team will be first aid trained. Our staff know how our activities should be run so you can ensure the activities will be run safely and smoothly at your Family Fun Day Event. We have designed all our activities with you and your requirements in mind. All of our activities are equipped to offer you the opportunity to place your own branding or sponsors name to be placed onto the activity. There are a number of reasons why brandable activities may be important at your event. If you would like further information about our branding opportunities please contact us to discuss your requirements.